Truck drivers who have been involved in a crash are 74% more likely to be involved in another, according to the latest research from the American Transportation Research Institute (ATRI). ATRI released its third Crash Predictor Model study (the study was previously conducted in 2005 and 2011), which tries to quantify the likelihood of future crash probability based on truck driver behaviors such as violations or prior crashes. The 2018 version of the report includes analyses on age and gender’s role in crash probability. “ATRI’s Crash Predictor Model is a key input to our driver hiring and training practices. Safety is our first concern and by understanding how driver histories relate to future crash probability, we can develop targeted solutions for minimizing safety risks,” said John M. Prewitt, Tideport Distributing, Inc. president. The report pulls data from over 435,000 U.S. truck drivers over a two-year time frame, looking at over a dozen behaviors that “raise a driver’s risk of being involved in a future truck crash by more than 50%.” The data covers the years 2013 and 2014. The analysis created an initial driver database comprised of drivers who had received a roadside inspection or been involved in a crash in three recent months (January, February and March 2015). A total of 439,260 unique, U.S.-based drivers were identified. For each of the drivers in the sample selected, their past inspection and past crash data were obtained from MCMIS, and past conviction data from CDLIS. Ninety-three percent of the drivers in the analysis were not involved in any crashes. The report found that a driver with a reckless driving violation on their record was 114% more likely to be involved in a future crash. In all three studies, convictions such as improper lane/location, reckless/careless/inattentive/negligent driving and improper or erratic lane change all resulted in an increased likelihood of a future crash. ATRI’s research can help fleets identify behaviors that are likely to increase future claims. According to a Virginia Tech Transportation Institute analysis, between 10% and 15% of drivers account for 30% to 50% of all crashes. ATRI notes that while crashes are down 30% since 2000, from 2.13 crashes per 100 million vehicle miles traveled (VMT) to 1.48 in 2015, since 2010, crash rates have started trending up again. What ATRI found was that a reckless driving violation increased crash likelihood 114% and a failure to yield right of way violation increased it 101%. Other top indicators included failure to keep in proper lane conviction (83%), failure to use/improper signal conviction (82%), improper lane/location conviction (72%) and improper pass conviction (70%). Any out-of-service violation results in a 29% increase crash likelihood. 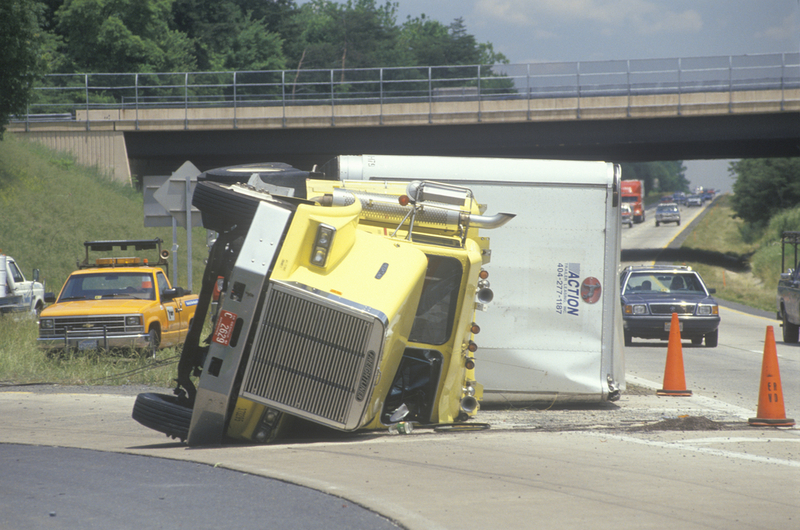 In all, ATRI found that 27 different violations increased the likelihood of a future crash at least 20%. For the first time in the report, ATRI attempted to draw a correlation between driver age and gender and crash likelihood. The average age of drivers in the analysis was 45.7 years and 97.55% were male. The analysis found that age did not have a statistically significant relationship with events that had the largest impact on future crash risk – reckless driving violations and failure to yield right of way violations, and that drivers younger than 40 and older than 85 had the highest elevated risk for specific crashes, violations or convictions. ATRI noted that the analysis based strictly on age and did not consider driving experience. The report digs into specific details on each violation/conviction, which age group is most likely to have that violation, and its impact on future crash probability. For instance, drivers 20-35 year of age are most likely to have a conviction and the likelihood of a driver having a conviction decreased with age, in general. Drivers with a conviction of any kind are 43% more likely to be involved in a crash. In another example, drivers 25 to 29 were more likely to have an hours-of-service violation, which increased the likelihood of a future crash by 50%. When it came to gender differences, “For all statistically significant behaviors, male drivers were always more likely than female drivers to have that specific conviction, violation or crash. Statistically significant relationships were found between gender,” ATRI noted. Men were 88% more likely to have a reckless/careless/inattentive/negligent driving conviction than women, the study found. Relative to women, men were 73% more likely to have a failure to obey a traffic signal/light conviction, and 70% more likely to have a 1 – 15 miles over the speed limit conviction. Additionally, men were 40% more likely than women to be convicted of any offense. A copy of the full report is available from ATRI at TruckingResearch.org.